A property in Calpe offers a stay in a lively town all the year round, independently from the season. It also is a town where you find all kinds of amenities without having to look farther. This is why many people considering a permanent residence on the Costa Blanca chose Calpe for their property. 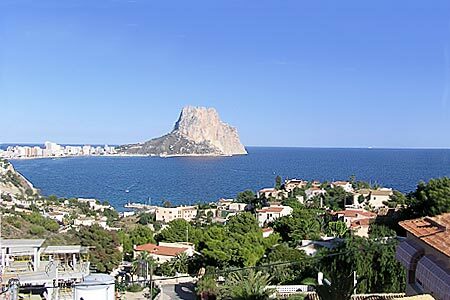 Among the choice of Calpe properties below, villas, houses and apartments, you may find your dream house. There are also some more Costa Blanca properties, houses and villas for sale in the surroundings of Calpe, in Altea, Benidorm and L'Alfaz del Pi. Your INSERT real estate agent can help you in buying or selling your Costa Blanca property in Calpe. Do you often visit this page? With your browser's refresh button, you are sure to get the last version. Last updated: March 21st , 2019. For further details, simply click on the photo of any property that interests you.